This spiral copper bangle gives the look of a set of skinny bangles with the convenience of one. Plus, it's fun to wear. Crafted with 18 gauge bare copper square wire. Also available in 16 gauge hammered round. Use 'Request a Custom Order' to discuss customization. ** Allow 2 weeks for Sterling Silver. Measuring Your Hand - Size Options are for the Circumference. - Bring your fingers together and thumb across the palm as if you were about to put on a bangle. - Measure your hand with a string or tape measure around the widest part of your hand. - Note the circumference of your hand. 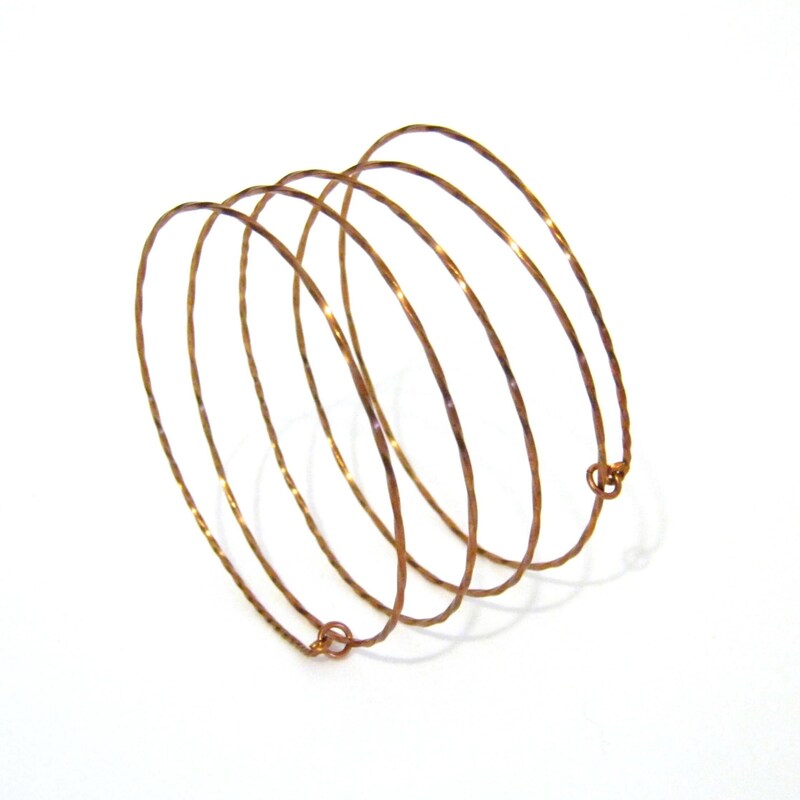 If the measurement falls between 2 sizes then go with the larger bangle size.